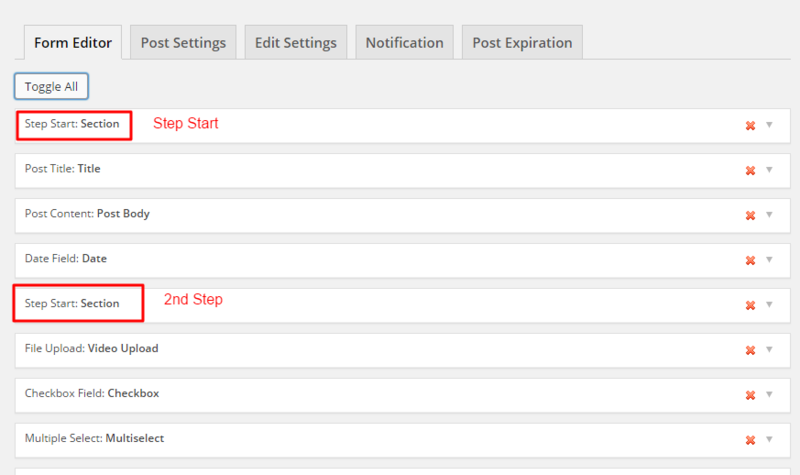 Home › Forums › Plugin Support › WP User Frontend Pro › Multistep – how does it work? Where is the documentation on how this feature works? We have tried to enable but cannot see any changes. Also, we need documentation on what some of the new fields are, e.g what is the Step Start custom field? Lots of unanswered questions guys… Documentation is crucial. I am really sorry for the inconvenience. We will write a doc about multi-step form as soon as possible. I have tested this feature. 1. The ‘Step By Step' function is working but needs some way to style the layout. 2. The ‘Progess Bar' function will not allow us to click the ‘next' button to progress to the next step. The button appears but when we click it the page reloads to the same section , ie we cannot get to step 2. 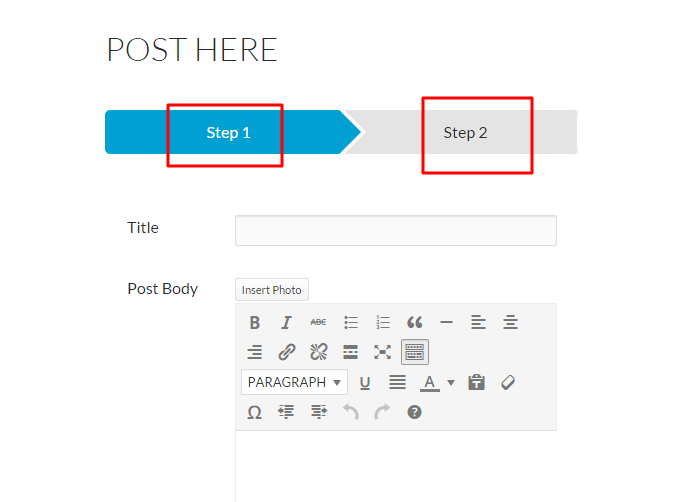 The function works fine when creating a new post using the form. The problem only occurs when you try to edit the post. Source code shows there is a problem with ‘frontend-form.js' file. See details below. There also needs to be conditional logic built into the Step Start field so sections can be skipped is needed. We did not get any JS error till now. Did you get this error with Default theme of WP? Right now there is no conditional logic feature in the Step Start field. The topic ‘Multistep – how does it work?’ is closed to new replies.